In Orange County, our cars are our livelihood, from getting back and forth to work to running errands to taking the kids to school. If your automobile has been involved in a collision, you certainly want to get it back on the road in like-new condition as quickly as possible. Precision Collision has been the trusted choice for Fullerton Auto Body Repair for nearly 30 years. Whether it's a minor fender bender or serious collision, Precision Collision has the technology, know-how and experience to put new life into your damaged vehicle. We only use factory OEM parts, so you can be sure you are getting the highest quality in parts and service. Our high-tech paint service will color match the paint to your vehicle's exact color before the accident. The experienced technicians at Precision Collision have the skills and knowledge to do the job right, the first time. From family cars to commercial vehicles, we've repaired them all. We can even fix boats, personal watercraft and small planes that have been involved in an accident. Once our Fullerton auto repair experts at Precision Collision get done with your vehicle, you won't even realize it was in a collision! When your vehicle is in an accident, sometimes the body damage doesn't tell the entire story. There could also be frame damage. Our in-house frame straightening machine allows us to do our repairs on site and quickly. From the moment you walk through the door to the day you get your pride and joy back, you will experience an unprecedented level of customer service. We have been in business for more than 25 years so there isn’t an auto body repair we haven’t seen or done many times over. When you are choosing an auto body shop in Fullerton, California, there is only one choice, Precision Collision. 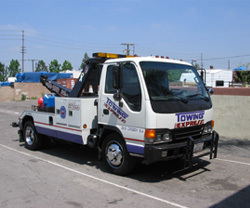 Call us today at 714.997.5050.